At Arwood Waste, we take pride in providing you the best service in the industry. Our updated look extends that quality customer service to the web. The new layout was designed with our customers in mind, making it easier for you to find everything you need in one location. Behind the scenes, we are still the same great company you know and trust. You can count on the Arwood Waste team to assist with your order, answer your questions and provide the best service in the industry. Our newly refreshed website is another tool to help make it easier for you to communicate with our team, place your order and update existing orders. 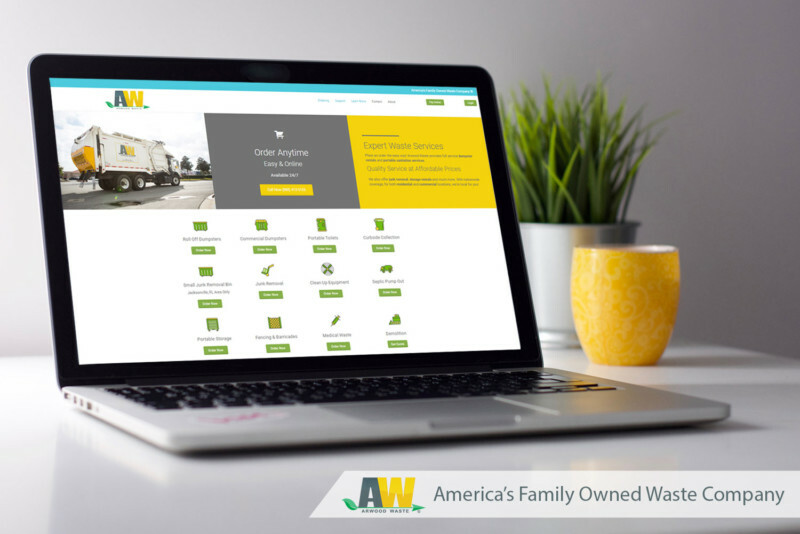 Arwood Waste offers 24 hour online ordering for all your portable sanitation needs. We also offer junk removal services, portable storage rentals, demolition services, fencing and barricade rentals and more. Our new look and layout makes it easier than ever for you to order all the services you need from one convenient location. While our look has changed, our mission is the same. We strive to provide you, our customer, with the highest quality service at affordable prices. Discover what Arwood Waste can do for you with our convenient, streamlined services. Head to ArwoodWaste.com to check out our new look.